Anyone who feels their resolve flagging as the results of last week’s election grow less surreal and more realized should stop what they’re doing, take a deep breath, and watch the video for “We The People,” the first single off of A Tribe Called Quest’s newly released sixth and final album, We Got It From Here… Thank You 4 Your Service. It’s invigorating, inspiring, and infuriating all at once. 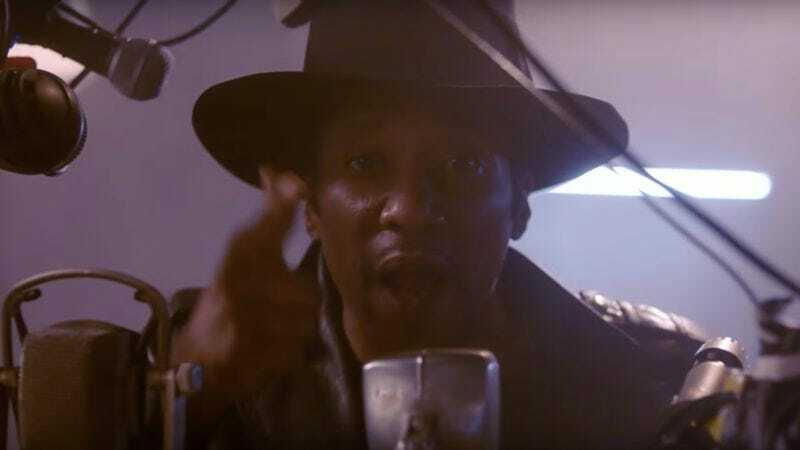 If the sight of Q-Tip spitting out angry rhymes in opposition to hatred and bigotry from behind a lattice of microphones don’t supply you with a fresh jolt of seditious excitement, not much will. It’s also pretty cool to see how they visualized Phife Dawg’s verses. After his diabetes-related death back in March at the age of 45 (you’re the worst, 2016), the Five Foot Assassin left an impressively immense hole in the influential hip-hop group, making any future Tribe projects impossible to imagine. The way the rest of the Tribe addresses his absence is both moving and thematically resonant for a song about carrying on the fight. It’s hard to believe that was all almost certainly conceived and compiled before election day. Had the results been different, this would not have been nearly as powerful.